Birch Gold Group is proud to have received the endorsement of Ben Shapiro, host of the Ben Shapiro Show and Editor-in-Chief of The Daily Wire. Since August 2016, Birch Gold and Shapiro have worked together to educate Americans on the value of physical precious metals as part of a plan to diversify and protect your savings. One little-known aspect of precious metals ownership that Ben Shapiro has helped bring to the fore is moving an IRA or eligible 401(k) into an IRA backed by physical gold and silver. This allows Americans to move their hard-earned retirement savings out of stocks and mutual funds and into the safe haven of physical precious metals. Click here to request a free info kit on gold and how to move your IRA or 401(k) to precious metals. 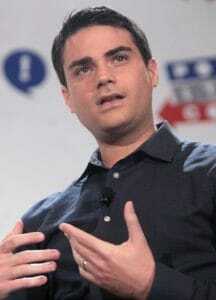 Shapiro is an accomplished and growing voice among today’s political commentators. On top of hosting his show and running The Daily Wire, he is a nationally syndicated columnist, the author of nearly a dozen books and an attorney. It’s foolish not to have some assets in the one area of human activity that has never been worth zero. Click here to get your free info kit on gold today.